Original hand blown ornaments designed to help with decorating for the holiday seasons. 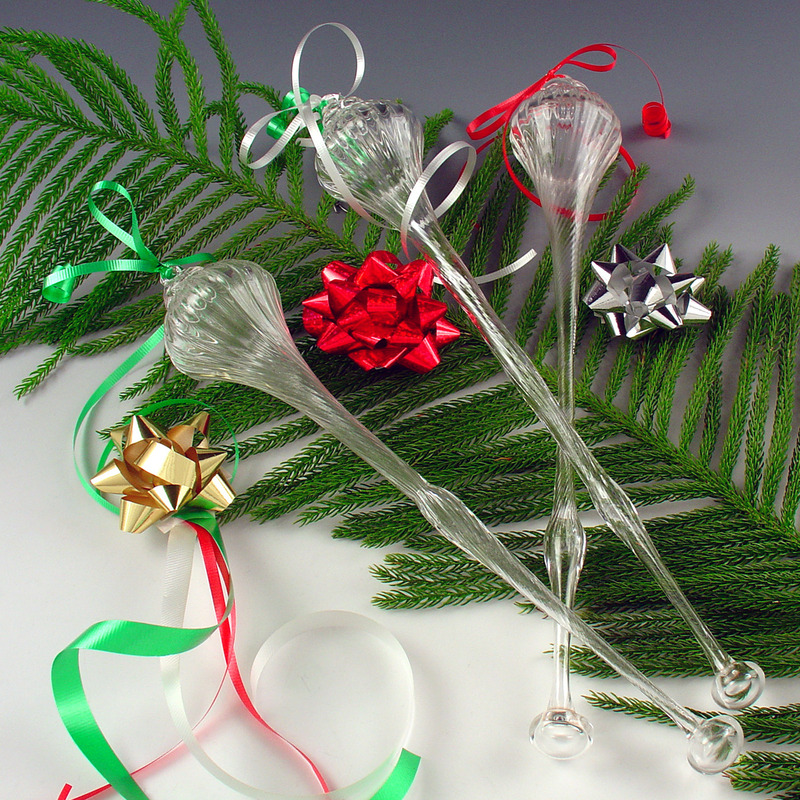 These "Ice Twisters" have a pronounced flute and are well suited for decorating a tree, table, window or any other area needing some cheer. As they are clear they will enhance any surrounding decorating color theme. Ice Twisters average 2.5" D x 12" Long. Each piece is OOAK.